A town in Turkey around 40 miles from Istanbul producing the finest of silk rugs. It is believed that the Imperial looms were established in Hereke around 1840. 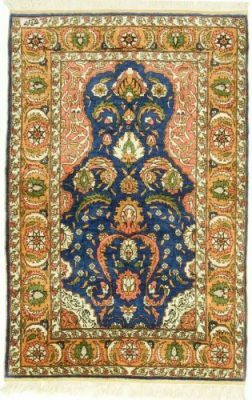 These finely weaved rugs are still produced in the town to this day. 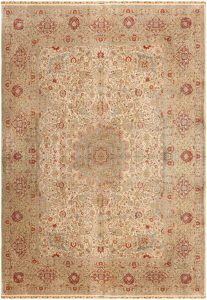 Modern weaves are extremely fine, all silk, and more wall hangings than floor coverings. 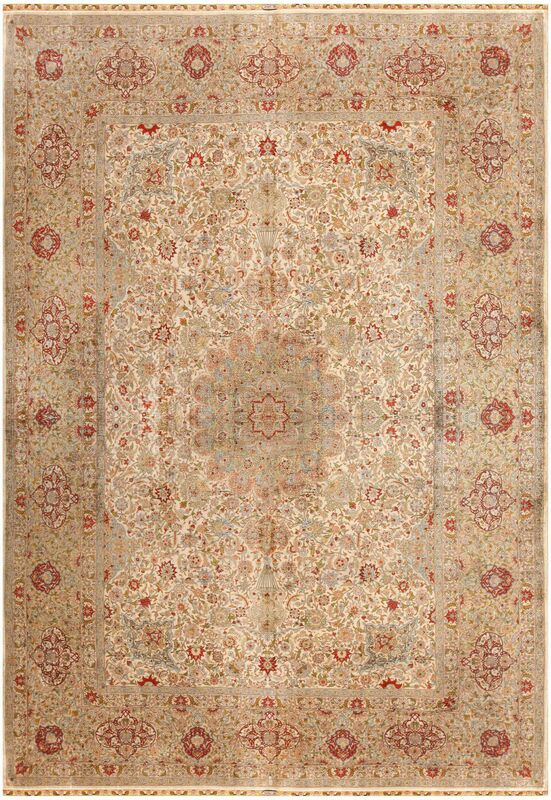 Large Antique Hereke Turkish rugs are in light colors and in European styles. These are rare and highly decorative and are a true treasure.